Are you ready to level up your speaking business? Douglas Vermeeren is the Speaking Business Multiplier. You can only teach others if you’ve done it yourself and his tool are helping speakers: Create highly profitable speaking businesses, Position themselves as experts, Attract media attention, Get publishing deals, Get more speaking gigs, Speak internationally and JV with other top names in the business. The Speaking Business Multiplier has done this and more and now his systems and secrets can be yours. His clients include beginning speakers all the way to movie and music celebrities, professional and Olympic athletes, top business leaders and other speakers just like YOU! He has been consistently rated by the media as the top speaker trainer in the world today with the most comprehensive and powerful tools available. Other trainers stop at presentation skills while Vermeeren is the only one who helps you build the speaking business systems that you need for success. Come find out why all the top speakers are working with him! Tell them Jackie Lapin sent you! Learn how to become the highly paid go-to expert in your niche market. Debbie Allen will share her PROVEN step-by-step marketing strategies so you dominate your competition and create quick cash in your business. She’ll show you exactly how to make a lot more money as an expert and how to build a financially free lifestyle working when and how you want. Plus you’ll also learn how to easily gain the top 20 percent of clients in your market who value your advice and pay top dollar for your skills, services and expertise. She’s personally trained and mentored thousands of students from around the world in diverse industries for the past 20+ years helping them quickly become financially free entrepreneurs. Tell Debbie, Jackie Lapin sent you! So many speakers aren’t getting the RESULTS they need when they present. 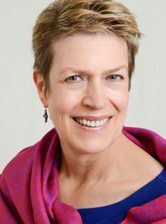 International Opera Director and Presentation Skills Trainer, Elizabeth Bachman — “The Star Maker for Speakers” — shows how to make your talk compelling, and how to deliver it in the most effective way so that you move your listeners to take action. Elizabeth Bachman is passionate about helping people shine on any stage. Using her 30 years of experience as an International Opera Director, directing such luminaries as Luciano Pavarotti & Placido Domingo, she now works with conscious authors & speakers to help them stand in their power, find a unique voice and reach every ear – and every heart – in the audience. She is the author of How to Get Booked as a Speaker- Taking Your Show on the Road, the ultimate guide to getting speaking gigs. Fluent in 5 languages, Elizabeth has directed over 50 operas around the world, giving her a wealth of tools to help change makers become Super Star Presenters. Tell her Jackie Lapin sent you! Discover the path to a dramatic shift in your capacity to speak and be heard! Imagine having a business marketing message that is clear, concise and a call-to-action for your product, service or charity? Maurice DiMino does just that. Maurice is an award winning speaker, Number #1 Best Selling Author and Mentor. He trains executives and entrepreneurs how to create their “Million Dollar Message.” He has developed an easy to use template so that you can create raving fans. Go from zero to hero with Confidence, Character and Charisma. He has taken his book, his years of experience of being a contract/ corporate speaker and made it into a boot camp… “Create Your Million Dollar Message.” At his Intensive – you will create a Profitable, Passionate and Powerful message for your product, service or charity. Tell him Jackie Lapin sent you! Having a successful media strategy and the savvy interview skills it takes for engaging TV, radio, print, online, face-time and stage interactions is about as good as it gets. In this 24/7 over-caffeinated media world, Murphy’s “Interview Tactics! Media Coaching” gives authors, experts, CEO’s and showbiz pros the step-by-step moneymaking interview skills they need to “tell it to sell it” in any media environment and on stage. …Online, off line, or on the Red Carpet! 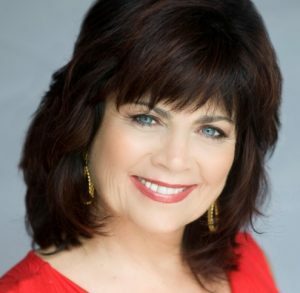 About Gayl Murphy: She’s “The Celebritizer!” A sought-after Hollywood correspondent, respected Hollywood media expert, speaker and the author of Interview Tactics! How To Survive The Media Without Getting Clobbered! As a correspondent, filing stories for ABC News, BBC News, SKY News and E!, Murphy has personally interviewed over 15,000 of the biggest celebrities and newsmakers. One of the easiest and most proven ways to cleanly monetize your work as a speaker is by using your speeches to connect with terrific, high paying clients who you can help create transformation over time. Whether as a coach, a counselor, a healer, a spiritual teacher, or a transformational leader – you have a terrific opportunity to turn your speeches into high end individual and small group clients. However, if you’re like most people in this industry, “selling” feels distasteful to you. So how can you find and enroll your ideal clients in ways that truly work for you? Selling By Giving is the answer, and after attending Brian Whetten’s two-day Practice Building Breakthrough, you will walk away with an entirely new perspective on how to sell and market your services. Dozens of the leaders in the industry such as Jack Canfield, Barnet Bain, Sean Smith and Christine Kloser all rave about how different and uniquely powerful this work is. Contact: Brian Whetten, Ph.D., M.A. ​Learn how to bring more heart-opening laughter and mind-expanding humor into your presentations. Steve Bhaerman has been writing and performing cosmic comedy in the guise of Swami Beyondananda for nearly 30 years, and author Marianne Williamson has called him “the Mark Twain of our generation.” Steve offers a unique, self-paced teleclass called A Course In Laughter that also includes four monthly live sessions, sixteen illuminating interviews with awakened people who are funny and funny people who are awakened, and an 85-page Sillybus that outlines what Steve has to share from a lifetime immersed in transformational humor. Why humor? In his recent book, Ha! The Science of When We Laugh and Why, brain scientist Scott Weems writes, “Nearly every aspect of our lives is improved by focusing on humor.” Whether you’re looking to improve the health and well-being, relationships, finances, or work life of your audience — cultivating laughter, humor, joy and playfulness is the “secret sauce” for success. Steve will help you find YOUR pathway to a powerful life-changing –and yes, humorous–presentation. You’ll laugh while you learn, and learn while you laugh. You're Ready to Be an UNFORGETTABLE Keynote, TED, and Extraordinary Signature Speaker! One of the biggest problems that speakers face today is not standing out in an oversaturated market. The good news is that the market is mostly saturated with average (and below average) speakers. There are VERY FEW speakers who are crafting and delivering truly unforgettable experiences that make deep, lasting impact, and who, in-turn inspire raving fans, generate revenue, and repeat speaking engagements. Davide Di Giorgio is a longtime theater producer, creator, director, educator and audacious innovator. His unapologetic approach that shatters the mold of following blueprints, formulas, and systems has quickly made him the go-to creative expert for on-purpose coaches, entrepreneurs, authors, and speakers who want to deliver their message unforgettably so they can transform their audiences forever! Simply put, Davide produces unique signature talks, keynotes, TED talks, and immersive audience experiences that make speakers famous! Tell Davide Jackie Lapin sent you! Imagine having a steady stream of leads, prospects, and clients without ever having to pick up the phone and cold call again. Arvee Robinson is The Master Speaker Trainer, international speaker, and author. She teaches business owners and entrepreneurs how to use public speaking as a marketing strategy so they can attract more clients, generate unlimited leads, and grow their business fast! What makes her speaker training different is that she teaches proven formulas and systems for creating killer elevator speeches, magnetic self-introductions, powerful stories, and persuasive business presentations that are guaranteed to generate a never-ending flow of hungry buyers. These systems you will make you money for the rest of your life. Arvee has given over 3,500 speeches all over the world and has trained over 5,000 business owners in various industries. Her training works! ​Tell Arvee that Jackie Lapin sent you! Do you dream of having a business that gives you the freedom and money to live the life you deserve? Looking for a proven way to fill your coaching and consulting practice with clients, who pay you tens of thousands of dollars a year for the privilege to work with you? Do you have products that are collecting dust rather than making you great money? If you said YES! then Speak, Sell, Profit is for you! We’ll show you how to maximize your stage time for optimal revenue! Do you have a stack of business cards piling up on your desk that you haven’t done anything with? So many entrepreneurs are leaving a significant amount of money on the table due to poor follow-up skills or an inadequate follow-up system. Debbie Hoffman is America’s foremost authority on follow-up and founder of Power-Up! Your Follow-Up. She works closely with small business owners, entrepreneurs and sales professionals who aren’t getting enough clients because they don’t have the skill set or systems in place to follow-up properly.She helps them create a step-by–step follow-up blueprint to convert more prospects into long term clients without feeling salesy or pushy. Debbie was a successful investment banker with 20-years of experience as Managing Director for Wall Street firms. Her extraordinary organizational skills were instrumental in building prosperous business relationships resulting in sales over $25-billion. She also has 16 years of experience as a wellness industry entrepreneur, building a team of several thousand consultants. As a transformational speaker, you deserve to stand out in the crowd. Imagine drawing people to you without saying another word. Wearing your Speaker Name Tag will attract more introductions than you thought possible. Leave the “Hello My Name Is” paper tags behind forever! You can carry your new Speaker Name Tag with you and wear it to meetings, conferences, book signings, networking events, volunteer events, alumni socials, association meetings, and more. Your name tag has strong magnetic clasps so it can attach securely to wool blazers and silk blouses without leaving holes. As an added bonus, add your URL or QR code on the back so people you meet can visit your site and buy or opt in right away on their smart phones. Never worry about running out of business cards again. Order your Speaker Name Tag today. When people see your marketing materials are you immediately perceived as a credible expert? Do your back of the room products leave a lasting impression? Stunning and professional Visual Branding creates not only a lasting impression but a great first impression where people see you as the authority in your area of expertise. When you consistently deliver your message and brand, audiences want more of you and your expertise. When you work with Back of the Room Productions, you receive effective strategy and high-level graphic design to help you succeed in your speaking and coaching programs. If you’re a conscious or transformational speaker you need to be focusing your efforts on marketing and speaking in order to grow your platform. If you’re spending your time filling orders for your book or duplicating and packaging your information products yourself you’re limiting the number of lives you can impact. That’s where Speaker Fulfillment Services comes in. Information product (including books) packaging and fulfillment is how we help transform speakers’ lives. Julie Austin, the CEO or Speaker Sponsor, the only online directory for speakers seeking small business sponsorship. Speaker Sponsor works with speakers on a personal basis to help them find and work with sponsors. It’s a unique “do it with you” and “do it for you” type of program. Julie gives you the information, does research on your behalf, and even helps you make the cold calls to get you the perfect sponsor or sponsors, so that you can make a good living as a speaker with NO competition. Just one tip in this course will pay for itself. Julie Austin is an award-winning author, inventor, and innovation speaker. She’s been a keynote innovation speaker for corporations such as Procter & Gamble, Novartis Pharmaceuticals, Northrop Grumman, and Cognizant Technology Solutions. Steve Lillo founded PlanetLink in 1995 when he saw the emergence of the internet and the opportunity it created for making a difference in the world through business. PlanetLink has evolved into a full service web development company providing design, programming, integration and consulting. They’re well-versed in a variety of tools and systems to help you get a website that works for your business. They understand the specific needs of speakers and will help you to create an effective presence for an affordable price. Jennifer Ellis’ Life Enlightenment is a training company that guides clients through the process of bringing their message to the world and provides them with invaluable resources to make that happen. This is done through media training, lead generation support, public speaking strategies and other time-tested, proven coaching. Life Enlightenment works with both individuals and organizations. Clients have been featured in magazines such as “Better Homes and Gardens,” on TV shows such as “20/20,” and have spoken for organizations such as the US Embassy in Beijing, Microsoft, and Verizon Wireless. Speaking from the stage is only one part of the equation. To be a truly effective messenger, you need to engage people in the experience…you must have a workshop. Carrie Doyle is specialist in workshop and curriculum development. Carrie Doyle can help you create a workshop, training and /or online course that is effective and engaging, but most importantly a creative change agent to compliment your compelling written word (books, articles, blogs, etc.) As Robert Frost said, “I am not a teacher…I am an awakener” Carrie guides others to be awakeners by helping them turn their gifts into profitable workshops, training, and online courses. Do you want to be on Wikipedia? Where speaker bookers will be so impressed that you merit your own Wikipedia page? You’ll have more credibility, recognition and SEO juice! And you already know that Wikipedia is great source for publicity and increases your authority. It’s the 6th most visited website in the world according to Alexa. 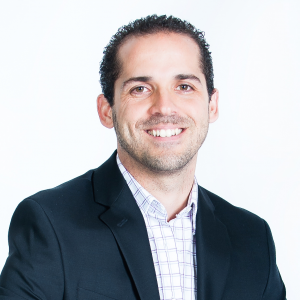 Bert Martinez has successfully listed more than 75 clients on Wikipedia– it’s your turn now! And the best part is – it’s 100% Guaranteed! Bert and his team can only take on a few clients at a time, spots are very limited so don’t miss this opportunity! Collect Powerful Reviews in Less Than 30 seconds—Right as You Get Off the Stage! SoTellUs’s revolutionary review system allows you to get 1,000’s of powerful video, audio, and written reviews* instantly and in seconds—including right when you get off the stage as people are still gushing!!! Reviews are crucial to your business and your future speaking opportunities. With everyone saying their services or products are the best and so much competition out there, you need to stand out. This review system turns your clients and speaking audiences into sales reps for you. When people watch these powerful, in-the-moment video reviews , they will believe you are the right match for them! The proven results: an increased conversion of 84% on website! Your 4 and 5-Star reviews will automatically show up on your website, and then be pushed through to social networks. SoTellUs also SEOs your top reviews for Google and other search engines. Lastly, use this link and a coupon we provide (contact us)—and we’ll absorb your $199 set up fee and the first 30 days subscription fee! Are you currently self-funding the travel, fees, meals, etc that are required for your speaking gigs and tours? Perhaps if you had more cash flowing into your business you would apply for more gigs or finally plan that speaking tour you’ve been dreaming of. What if I told you there is $22 BILLION in corporate sponsorships that can fund your gigs and tours? You see, corporations actually NEED you to get in front of their desired audiences. Funding your speaking helps them do so. Unfortunately, 95% of businesses going after corporate sponsorships are positioned for a NO and they do not even realize it. In order to access these sponsorship dollars you need to know how to get them to pay attention to your business to start with. 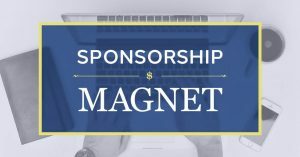 Sponsorship Magnet is a step-by-step program that teaches you the 4 must know steps to be irresistible to sponsors and how to get a YES when everyone else is getting a NO! Whether you're speaking to inspire or sell, you need to be persuasive. Research shows that images -- the right kind -- are MUCH more persuasive than words alone. So if you're using slides, you need to know the art and science of creating image-rich, persuasive slides to go along with your message. What if you could increase the percent of people who took your advice or bought from you by 10%, 20% or more? How much would that be worth to you? 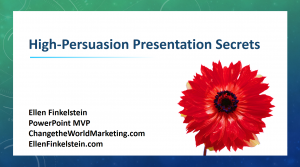 If you would like a step-by-step process that even artistically-challenged speakers can follow, then High-Persuasion PowerPoint Presentation Secrets is for you! Ellen Finkelstein is a PowerPoint MVP (Most Valuable Professional, a Microsoft award), one of only 14 in the United States but she's artistically challenged, too! She had to learn how to create stunning, powerful, and persuasive slides and wants to show you her secrets. Click here to watch the free video training.